Great Events at Tampa Bay Downs Featuring Golffest and Craft beers! 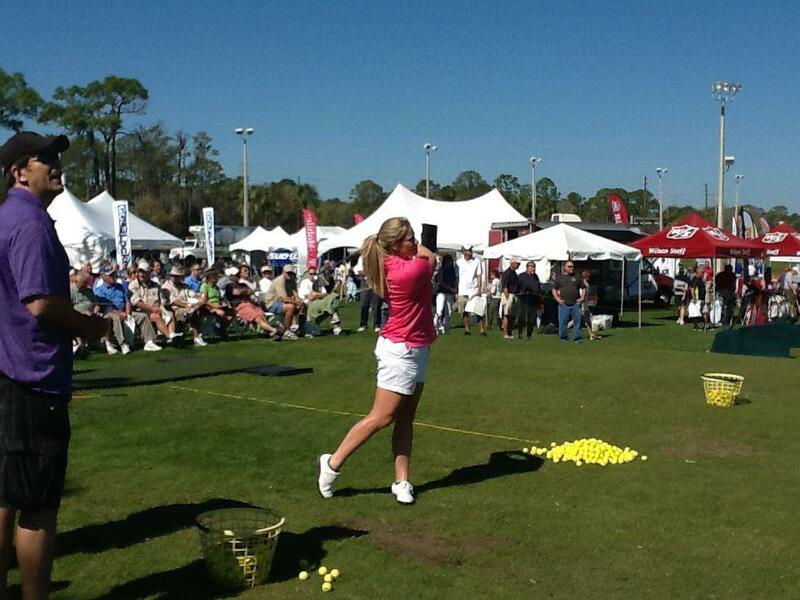 This February, Tampa Bay Downs will be holding its ninth annual Golfest. Each year, visitors from all over come to experience one of the largest golf events in Tampa, which includes demos of some of the latest products, sample products and some of the best craft beer in Tampa. Getting into Golfest is easy. There is free parking available at the event and the admission fee is $10 for adults. Any children age 14 and under get in free of charge. There are a range of activities to appease golfers of all types, including a mini-golf course and demos of some of the latest innovations in clubs and balls. Company representatives are also on hand to help players with club fitting, and you can get a discount on a new set of clubs when you trade in your old clubs. There will also be free golf lessons at Golfest. With some of the most prestigious companies and experts from around the country attending, there's no shortage of people on hand to teach you a thing or two about golf. This is an especially great way to get your child into golfing if you haven't had an opportunity to teach them yet. In addition to these great events, Golfest also features some really great entertainment options. For starters, there will be guest speakers and entertainers who take the stage throughout the two-day event, and you'll have access to them included with your admission. There are also some neat contests where you can win great prizes, including the putting and chipping competitions. If that's not your speed, you can always try your luck at the "Golf Ball" drawing which has a pool of prizes worth $5,000 in total. While this is one of the best golf events in Tampa, there's more to do than that at Tampa Bay Downs. We hold a number of great events throughout the year, including our craft beer and wings event which takes place a week before Golfest. This festival features a collection of top beers from 10 of the best breweries in the area with a massive selection of succulent wings. If you're looking for a good way to kick back, relax and enjoy some of the best wings and craft beer in Tampa, the wings and beer event at Tampa Bay Downs is an excellent option. However, you don't have to go to our craft beer events to enjoy delicious craft beer at Tampa Bay Downs. In fact, we'll have a large selection of craft beers for you to choose from at Golfest, which means you can combine two of your favorite pastimes. Whether you're looking for a stellar IPA or a great golden ale, you'll find something for your taste at Golfest. So, what are you waiting for? Golfest is less than a month away, so start making your plans now and prepare for one of the most fun events of the year at Tampa Bay Downs.